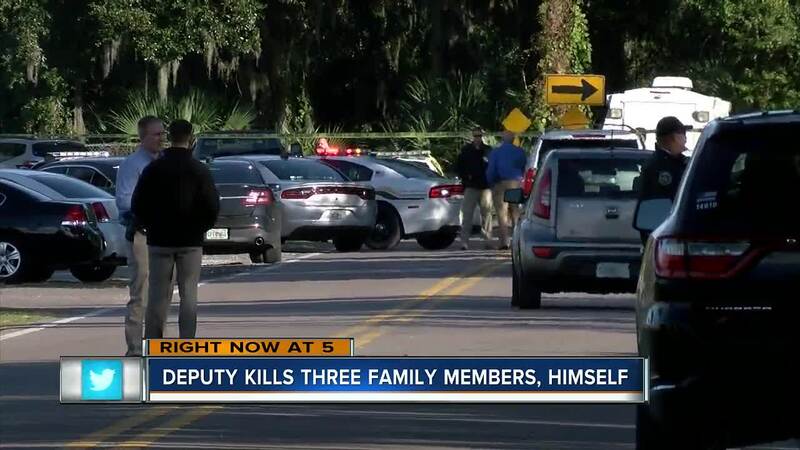 PLANT CITY, Fla. — A Hillsborough County deputy sheriff killed his family before killing himself in Plant City, Florida, on Wednesday, authorities say. At approximately 6:42 a.m., Deputy Sheriff Terry Strawn, 58, got on the main channel of the HCSO radio and alerted other deputies that he killed his wife, Theresa Strawn, 54, his daughter, Courtney Strawn, 32, and his granddaughter, 6-year-old Londyn Strawn. He gave them the locations of where all the victims could be found. During the radio transmission, he said that he was going to kill himself at Plant City High School. A supervisor got on air and tried to calm him down. During this time, three other Hillsborough County deputies located him off of school property. 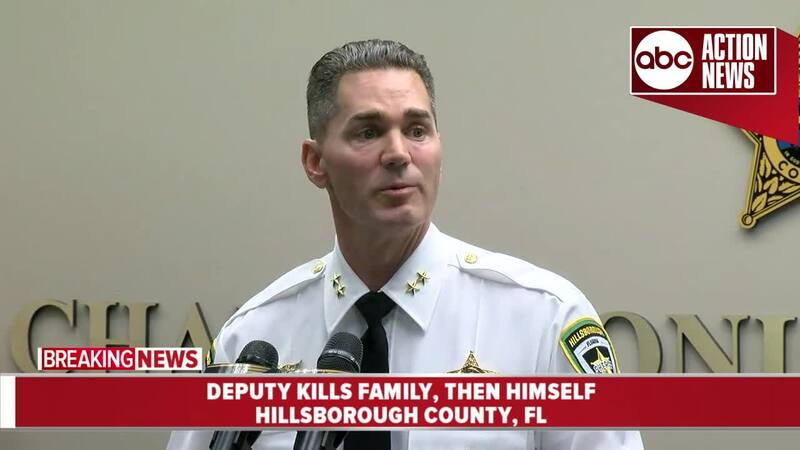 They made every attempt to convince the deputy not to kill himself, Hillsborough County Sheriff Chad Chronister said in a news conference on Wednesday. Strawn ultimately killed himself in front of the three deputies. Deputies are investigating multiple scenes and have obtained search warrants for both residences. Deputies say that Strawn killed his wife and granddaughter at his home before driving to his daughters home. Sheriff Chronister says that Strawn shot his daughter when she answered the door. All three victims died of gunshot wounds. During the radio call, Strawn eluded to the fact that he was struggling with health and financial issues. He also indicated that he was “losing everything,” the Sheriff said. Strawn had been with the Sheriff's Office since 1991 and had no indication of behavioral issues, according to Sheriff Chad Chronister, he had "glowing recommendations." The Sheriff went on to say there was "no indication whatsoever that would lead us to believe" that Strawn would do something like this. He retired two years ago but was hired back for security at a local elementary school following the Parkland school shooting. The Hillsborough County Sheriff's Office made the decision to hire him back permanently. Sheriff Chronister says the deputy was so happy to be hired back as a full time deputy sheriff. The Sheriff says that 6-year-old Londyn was a student at Valrico Elementary, where Deputy Strawn was a school resource deputy. There were no students on campus at Plant City High School when the incident occurred and the campus was immediately put on lock-down, which has since been lifted, according to Hillsborough County Schools. Students were moved to the other side of the school as officials continued their investigation. A robo-call went out to parents on Wednesday morning letting them know there was an active crime scene near the school but that the school would be on a normal school schedule. They let parents know there was not a threat of an active shooter.